undergone a sophisticated process and autoclaved curing process where high pressure and high temperature steam is induced to ensure a complete chemical transformation to crystalline structure, thus providing the board with excellent dimensional stability at humid or damp environments and chemical resistance. matrix will absorb water causing some loss of strength, which is fully recovered on drying. Any staining on the board caused by leakage can be easily painted over. Moisture will not cause leaching or efflorescence and has no permanent effect on NuPanel®/NuClad®. It is simple to work with and easy to decorate. 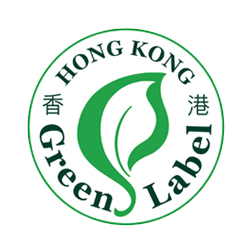 NuPanel®/NuClad® is manufactured to Quality Management System Certification ISO 9001, Environmental Management System Certification ISO 14001, Hong Kong Green Label as well as Singapore Green Label. Class A1. It has superior fire resistance performance and excellent dimensional stability at heat or severe humid environments. The crystalised monolithic structure of NuClad®/NuPanel® as a reliable substrate ensure to hold paint finishes longer than other building board at damp and wet areas.